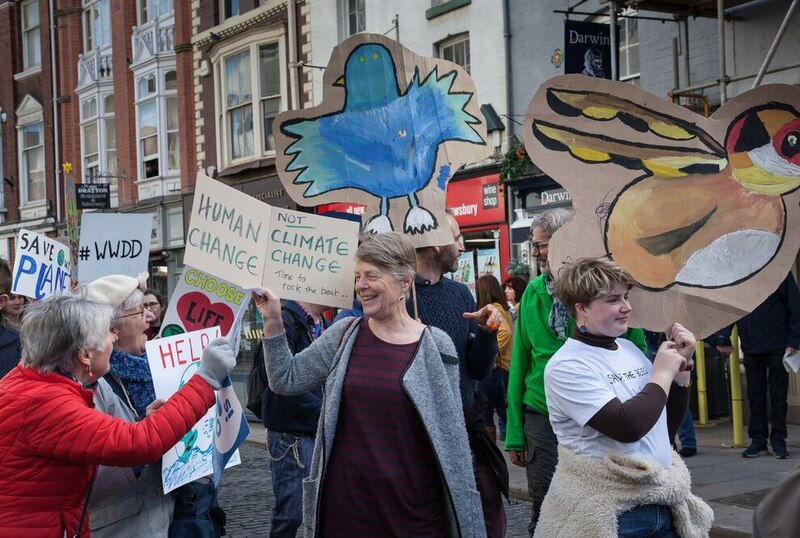 More than 200 people marched through Shrewsbury at the weekend calling on politicians to declare a climate emergency. Hundreds of people wrote messages in giant Valentine cards to the planet and signed a petition calling on the town and county councils to take urgent action to achieve zero carbon emissions by 2025. Extinction Rebellion Shrewsbury chose the week of Darwin day to invite the public to gather at the Darwin statue and march along Castle Street and Pride Hill to the Square. Zoe Jones from Shrewsbury, addressed the crowd saying: "It’s the most important issue facing our planet. Before we’ve reached our 1.5 degrees Celsius of warming, before the worst freak weather, before we lose the bees, before the ice caps have melted, before we lose the polar bears, before a refugee crisis on a scale never seen before, we are lucky that we have today. "There is no point in us all sitting at home, separate, knowing that our world is on the brink of environmental collapse. Now is the time to act." Another local resident, Richard Davies, said: "We are also here to celebrate Charles Darwin’s birthday, born near here 210 years ago on the 12th February 1809 when carbon dioxide concentrations in our atmosphere were 44.5 per cent less than they were today. We are gassing our planet. "At a local level we want our Councils to do much much more. To declare a climate emergency and to act with resolve." "We are rebelling against sleepwalking to disaster, against turning our back on the biggest crisis humanity has ever faced, against our own extinction and that of fellow life forms here on the beautiful place we call home." 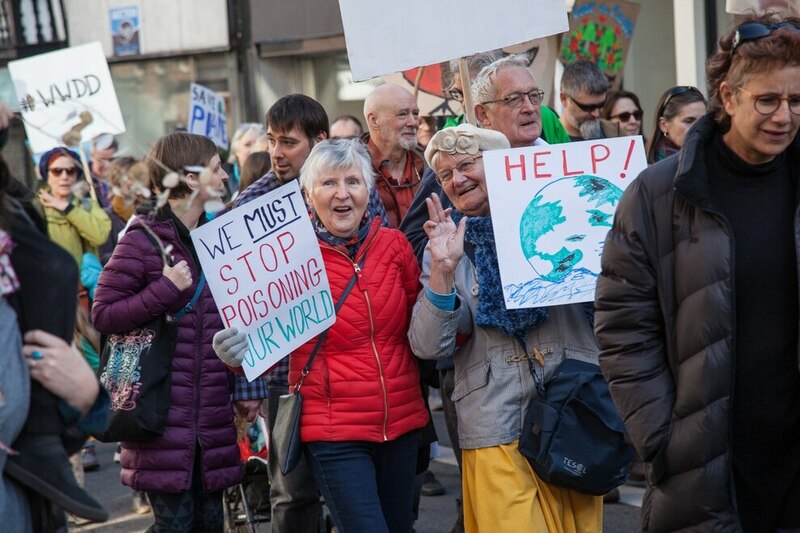 The group said that on March 25 a motion will go to Shrewsbury Town Council calling on it to declare a climate emergency and to take immediate steps to reduce carbon emissions. 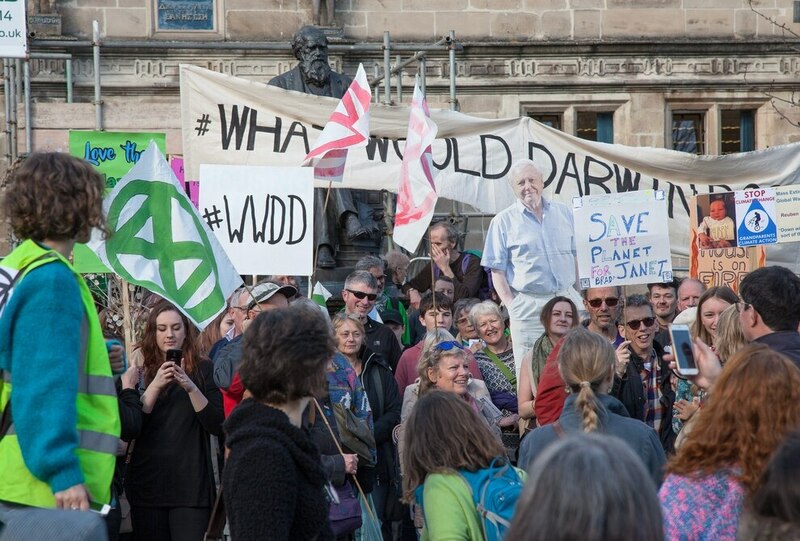 "Extinction Rebellion Shrewsbury is asking local people to join us outside the Guildhall in Frankwell Quay at 5.30pm on March 25 to show how much this matters," Mr Davies said.